"Armor mobs" mod is awesome. 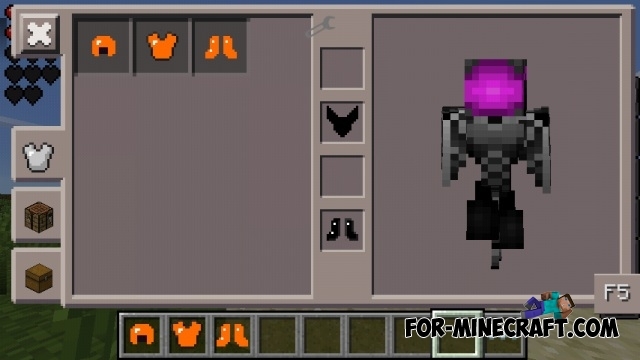 He adds a few armor sets in the game! You will find different elements of armor that will disguise you into a mob. There are skeleton armor, the armor of the dragon, and many others! 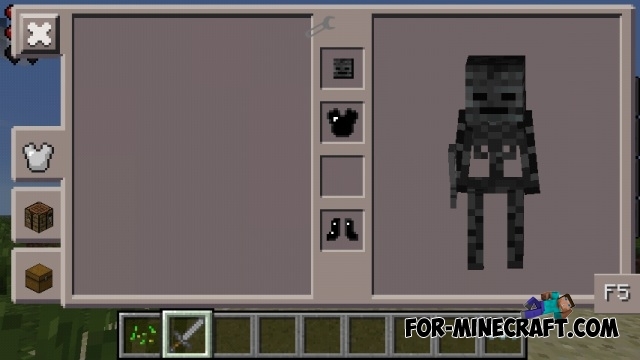 More Armor mod for Minecraft PE 0.11.1 / 0.11.0More Armor - mod adds a lot of different of armor in the game, which looks cool. Awesome mods you should download them! !